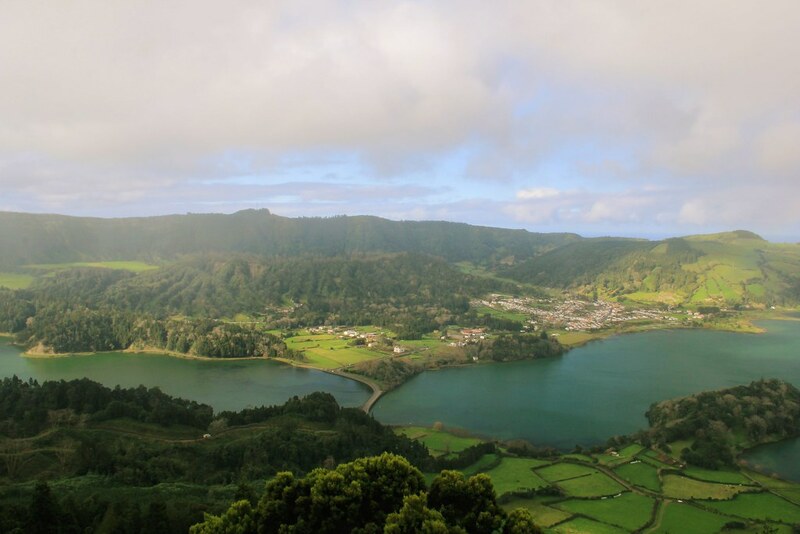 In January of this year my boyfriend Stu and I spent seven nights on the beautiful Azorean island of São Miguel (find out how much of a good deal we scored in this post). The Azores are an archipelago of volcanic islands which lie roughly 1500 kilometres west of Lisbon, in the North Atlantic Ocean. 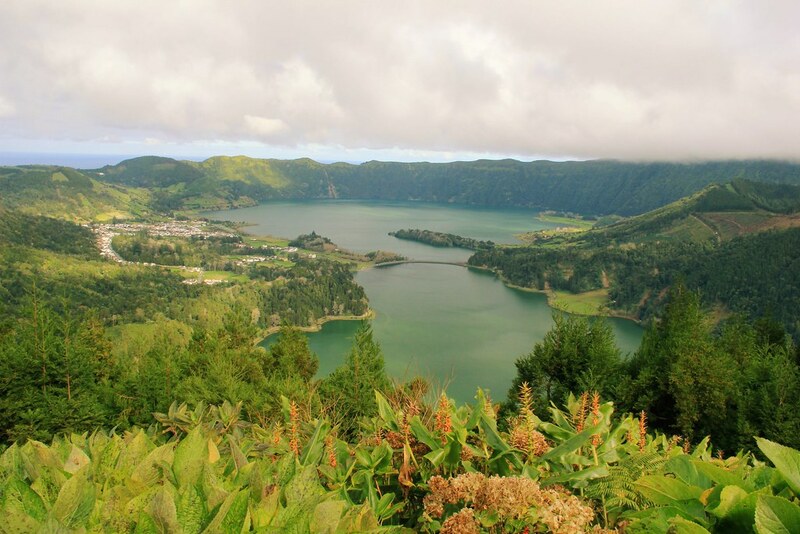 Although they’re almost as close to both Canada and Africa as they are to the Portuguese mainland, the Azores are one of the two autonomous regions of Portugal (the other is Madeira) . 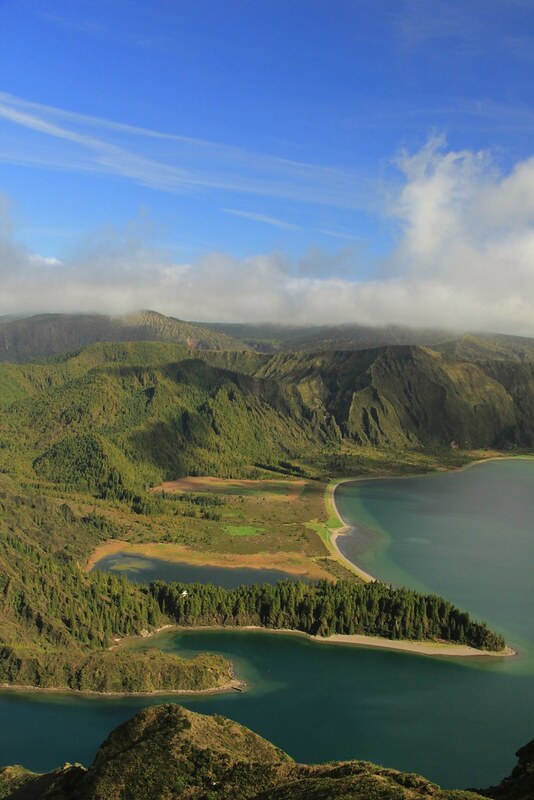 São Miguel is the largest of nine islands in the archipelago, and the only one you can fly direct to from the UK. 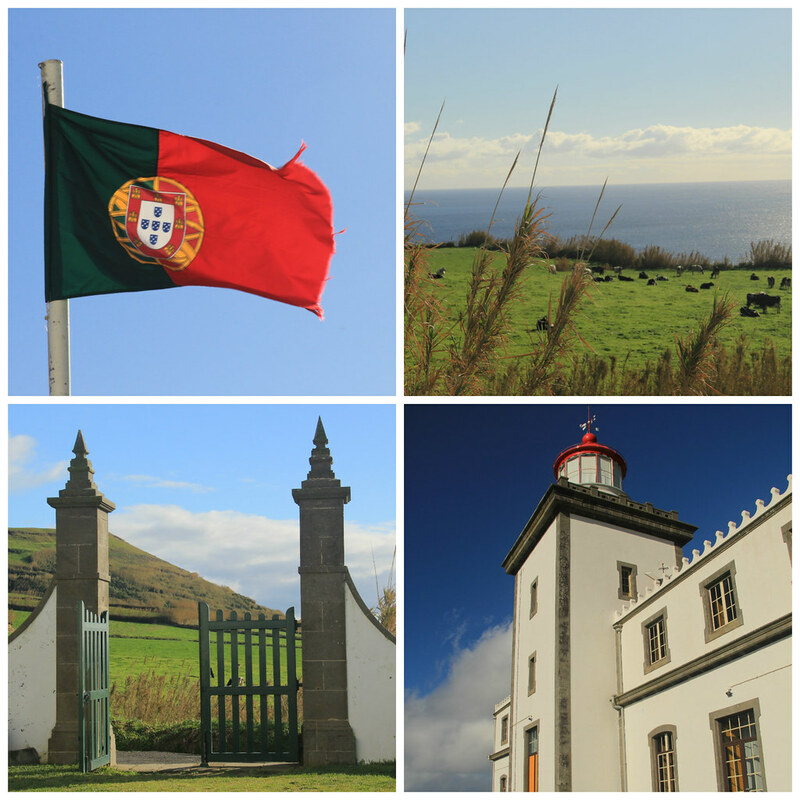 We enjoyed a full day exploring its capital city, Ponta Delgada, on foot before picking up a car in order to discover the other parts of the island. 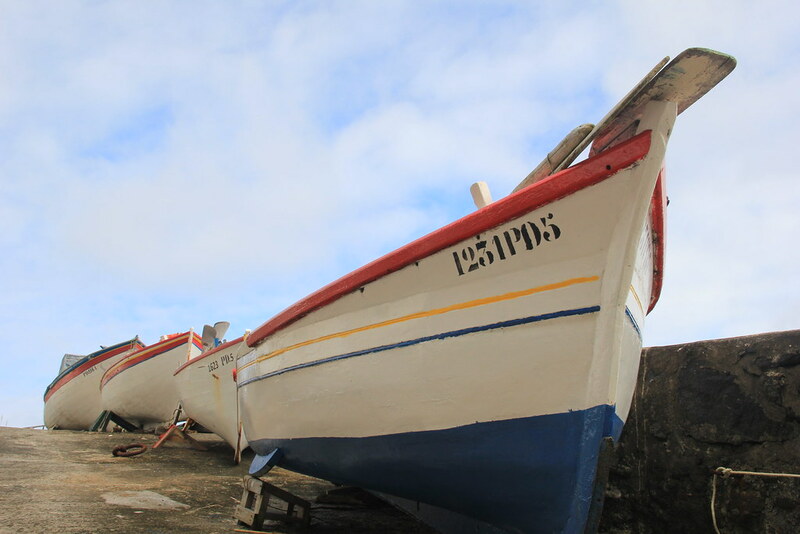 We’d read on countless occasions that, whilst public transport was available on the São Miguel, the buses were not particularly reliable and the routes were limited to the major towns. It was going to be a lot easier and more convenient to hire a car, as well as giving us greater flexibility with regards to deciding where we wanted to travel to and exactly how much time we wanted to spend there. São Miguel is not a large island, measuring 62.1 km in length and 15.8 km in width at its widest point, and with a total area of 744.7 square kilometres. 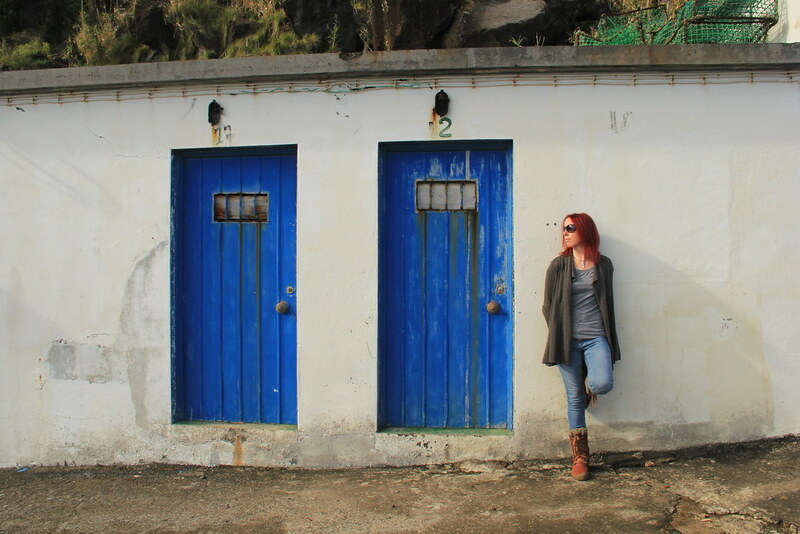 For this reason we decided to base ourselves in Ponta Delgada, at the clean, modern and centrally-located Nook Hostel, and take the car out to a different part of the island each day. First of all, grab yourself a decent map of the island (we were able to pick one up free of charge from our hostel), and then – with the aid of your guidebook (we chose to use this one by Bradt Travel Guides) – mark on it all the places you’d like to visit. After that you’ll then need to group places together, based on how many days you have to play with. As the island is longer than it is wide you’re probably best of splitting it into chunks horizontally (which is what we tried to do). However, be warned that the weather on the island is very changeable. 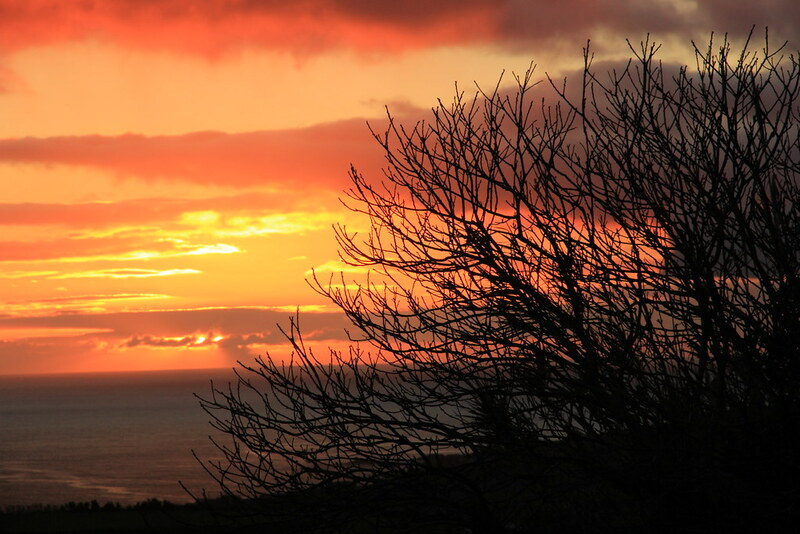 Much like Iceland – where the regularly used slogan is “if you don’t like the weather here, wait five minutes” – the Azores are renowned for experiencing four seasons in one day. Therefore, you may end up altering your best laid plans at the last minute to accommodate the weather. 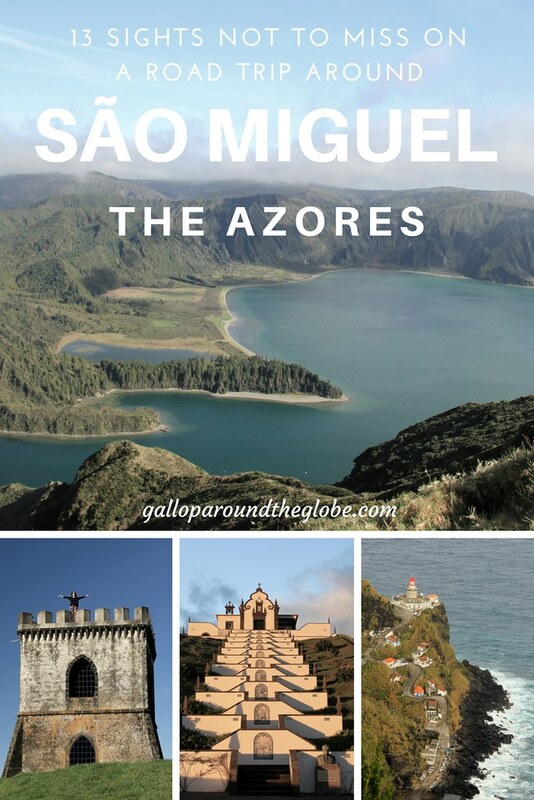 One of my best pieces of advice is to download the “Spot Azores” app. Our host at The Nook Hostel recommended this to us and we found it invaluable. Basically there are webcams dotted around the island so you can do live weather checks with this app. As I’m on Vodafone here in the UK, I get to ‘roam free’ in 40 European countries, and Portugal is one of them. This meant that I could use my UK minutes, texts and data on São Miguel. However, if you’re picking up a local sim card here, you’ll also be able to use data fairly inexpensively, in order to connect to the app. 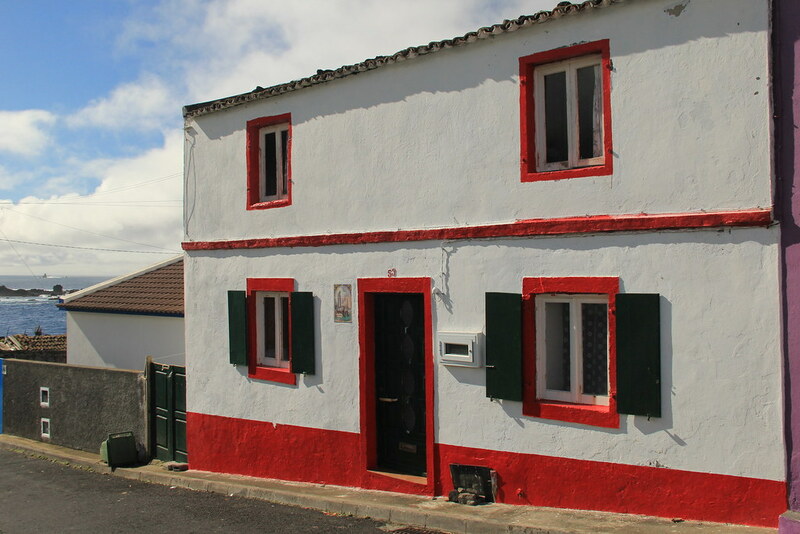 We used the oracle that is Google to do our research on car rental outfits in Ponta Delgada, and then sought clarification of our choice from Ricardo, at our hostel. The company we chose were Autatlantis, located just across the road from the Núcleo de Santa Bárbara art gallery (which, incidentally, I’d thoroughly recommend visiting). The basic cost of renting one of their smallest cars (ours was a Toyota Aygo) is €23 per day, which includes collision damage waver. However we decided to pay for the fully comprehensive (covers everything and you’ll only ever pay a maximum of €500 if anything happens) insurance for an additional €12 per day, making the total €35 per day. We had the car for five days, bringing the total to €175. That’s €87.5 (£77.34) each. We filled the car up once during our five-day stint. Fuel costs were much the same as they are here in the UK, so that cost us another €50. Parking overnight was free (see below). All in all, car hire for five days, with full insurance cover and all fuel costs, set us back approximately £100 each. Totally worth it, in my opinion. You can contact Autatlantis here. Alternatively, if you’d rather book your car hire with a well-known company before you arrive in the country then Rental Cars are always our go-to site for researching and arranging car hire in Europe. 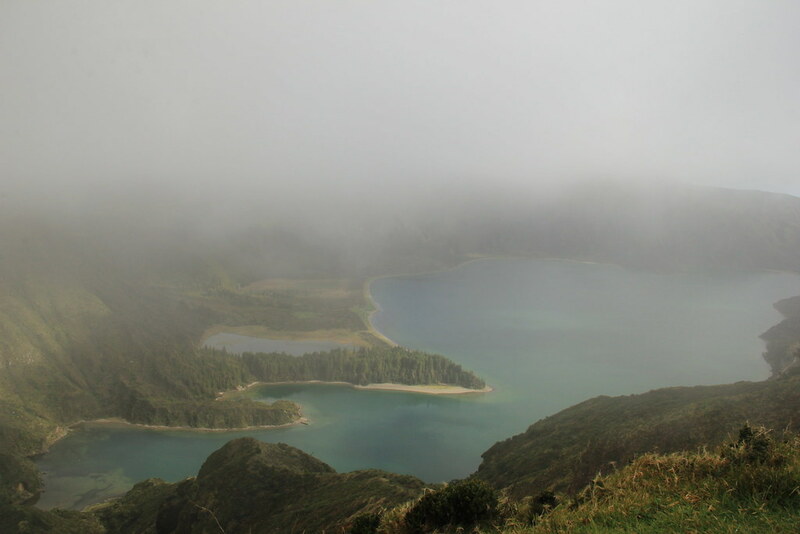 If you’ve seen photos of the Azores, there’s no doubt that at least one of them will have been of one of the lakes of Sete Cidades. Even in spite having to miss the one viewpoint we were most desperate to find (every time (and there were three!) we pulled up at the forestry services sign to Lagoa do Canario, the cloud was thick, the wind was howling and the rain was blowing sideways), we absolutely adored this part of the island. Whilst we were lucky with the weather on the whole, this was one part of the island where the cloud permanently seemed to linger. We did visit in January though. 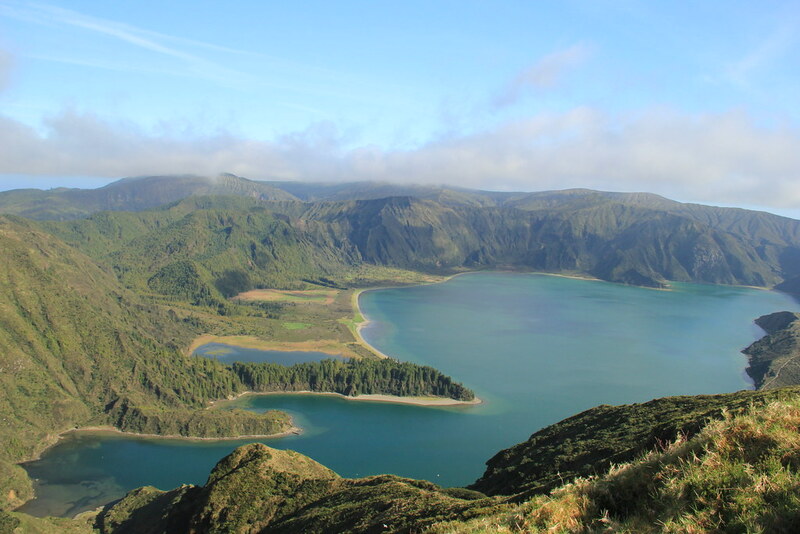 If you’re there in Spring or Summer, you have a much better chance of making it to the Miradouro da Lagoa do Canário and actually being able to see something! We did, however, get a good view of the two lakes (Lagoa Azul and Lagoa Verde) from Miradouro do Cerrado das Freiras, and had the entire viewpoint to ourselves. 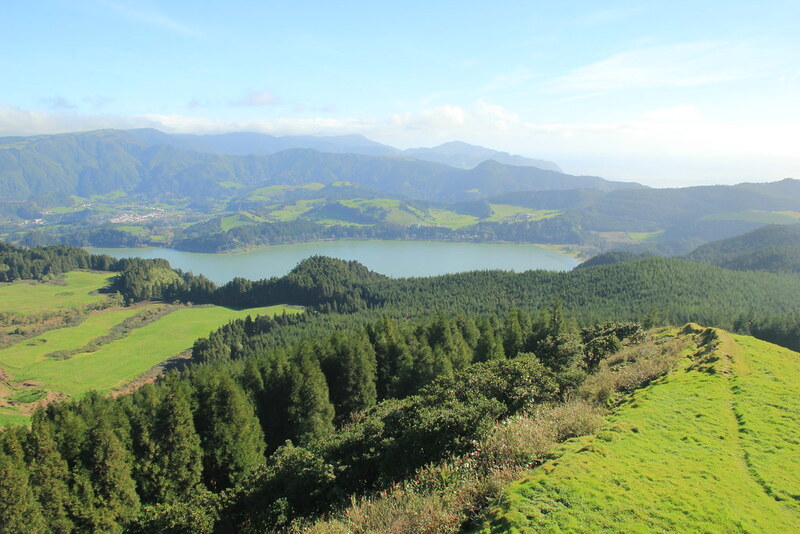 There’s also a pretty good view of the two lakes above from the Miradouro da Vista do Rei, which is located on the ‘main’ EN9-1A highway from Ponta Delgada to Sete Cidades. 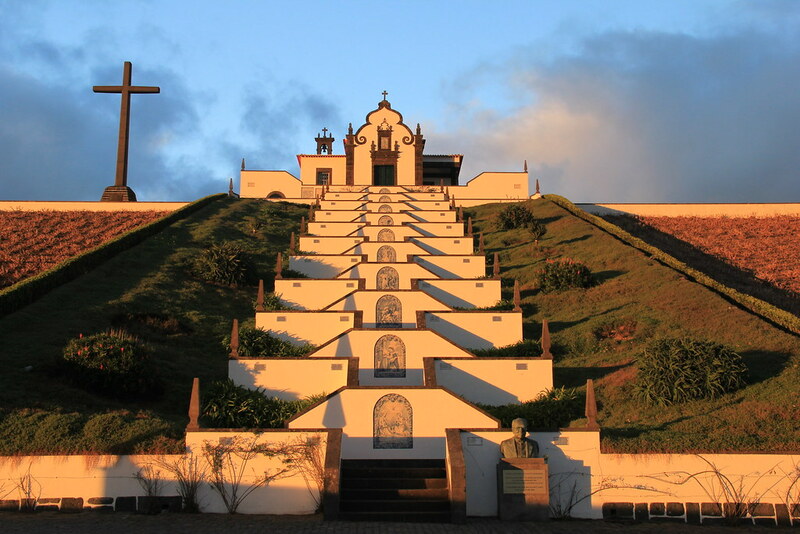 Located on a mountaintop opposite the Vista do Rei viewpoint, Monte Palace was once a luxury 5-star hotel, with 88 guest rooms, two restaurants, a bar, a bank, a hairdressers, three conference rooms, and a nightclub. A ridiculous amount of money was invested in order to facilitate its opening on 15 April 1989 (much of it borrowed from the Portuguese banks), but just eighteen months later the hotel was forced to close its doors. The location was too remote, the tourism campaign too ineffectual, and the running costs too high to sustain its opening for any longer. For the next twenty years the empty halls were patrolled by security guards and dogs, until the funding finally ran dry, and nobody could afford to pay them anymore. Even now, in its poor state of disarray, there are still many details visible that hint at its previous grandeur…a cavernous indoor courtyard, spiral staircases, and elegantly-tiled bathrooms. 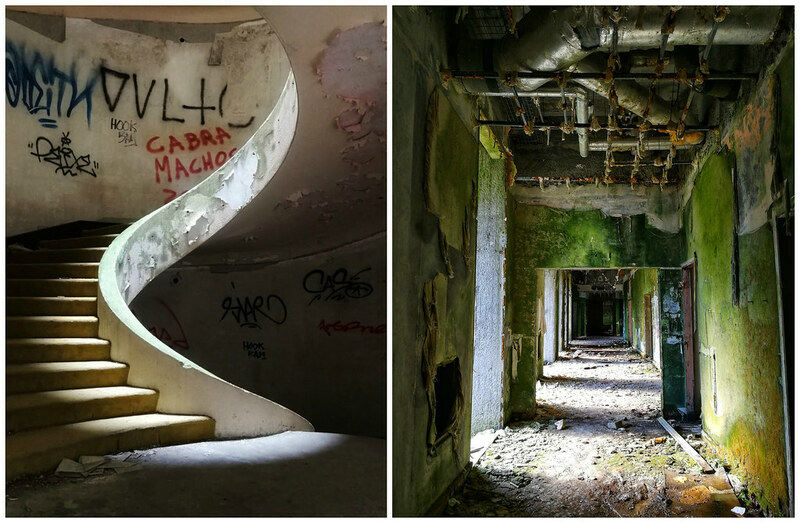 If you love urban photography or you’re someone who loves to find beauty in decay, visiting Hotel Monte Palace is an absolute must! And don’t forget to check out the spectacular 360 degree views from its rooftops. But you’d better be quick, because the word is out that the hotel has been bought by Chinese developers. So if you want to take a peek inside, you may not have too much time left in which to do so. 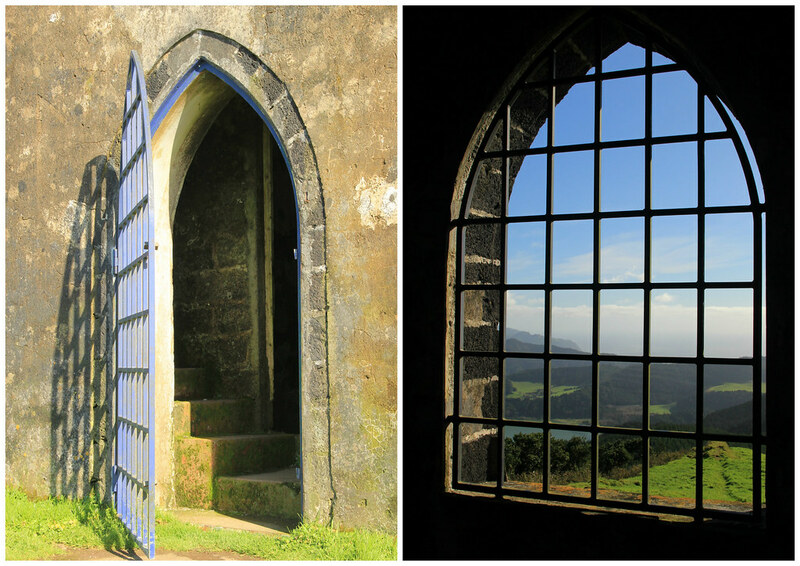 Due to visiting São Miguel in January, we weren’t blessed with cloudless, blue skies for the entirety of our trip. Whilst we did see a lot more sunshine than we expected to at this time of year, we also saw our fair share of cloud too. But what we did find was that if it was cloudy and wet inland, we could head to the coast and be basking in sunshine. 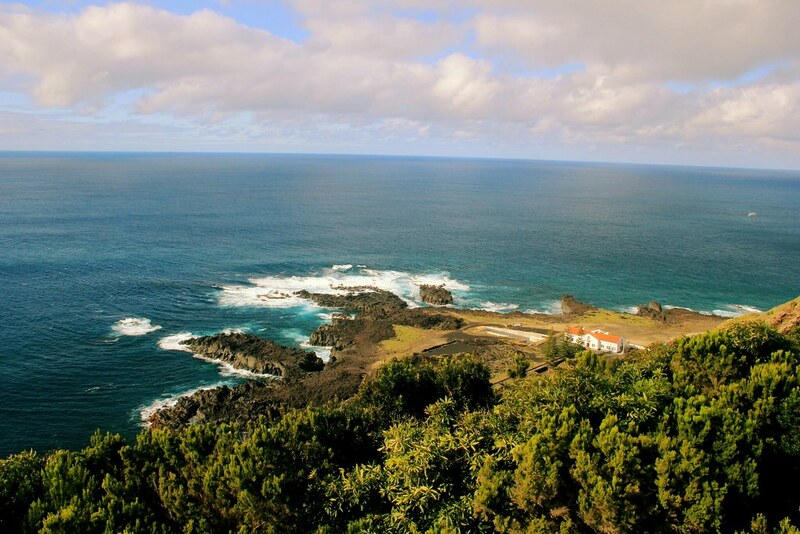 There are two places worth visiting along the western coastline of São Miguel. At Ferraria you’ll find the Termas Da Ferraria – thermally heated natural pools that overlook the ocean – as well as a natural swimming pool and the Farol da Ponta da Ferraria (lighthouse). Further north is the village of Mosteiros (named after the two nearby islets, which apparently look like monasteries; “mosteiros” means “monastery”). Whilst there’s not a lot going on here (we didn’t even see anywhere open where we could grab a coffee), it’s a lovely peaceful little place to spend an hour or so. Take a wander along the black sand beach, where reflective facets of crystalline rock sparkle in the sunshine, and clamber over boulders of volcanic rock to watch the waves crashing on to shore. 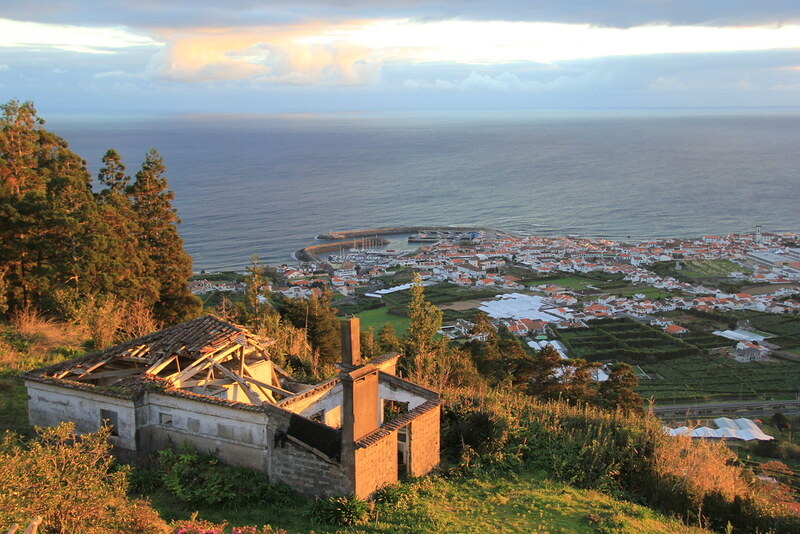 Make sure you make a stop at the Miradouro da Ponta do Escalvado for a great view of the village and of the islets that earned it its name. You might even get the opportunity to photograph some cactii while you’re admiring the view. Located in Fajã de Baixo, just outside Ponta Delgada, Arruda Açores Pineapple Plantation is the only place in the world where pineapples are grown in greenhouses. Originally from Central and South America, the pineapple was brought to the island as an ornamental plant, in the early 19th century. 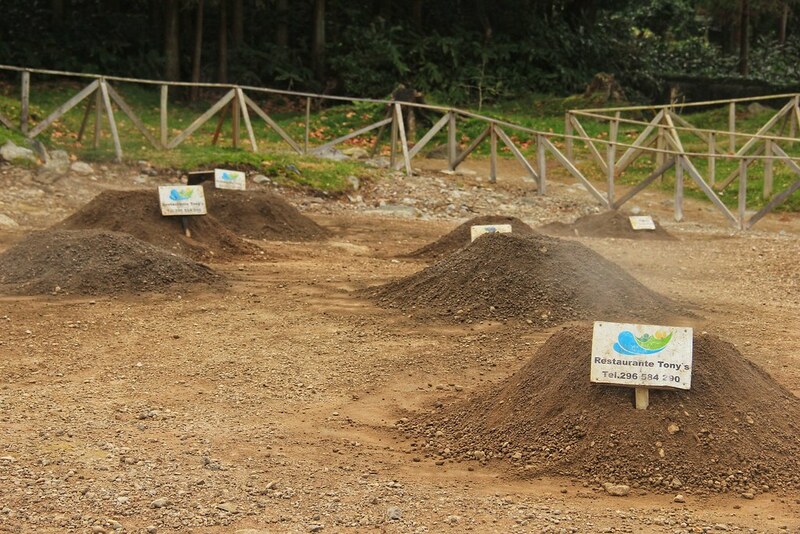 However, with the demise of the orange trade towards the end of the century, the former orange farm adapted to begin pineapple production instead. 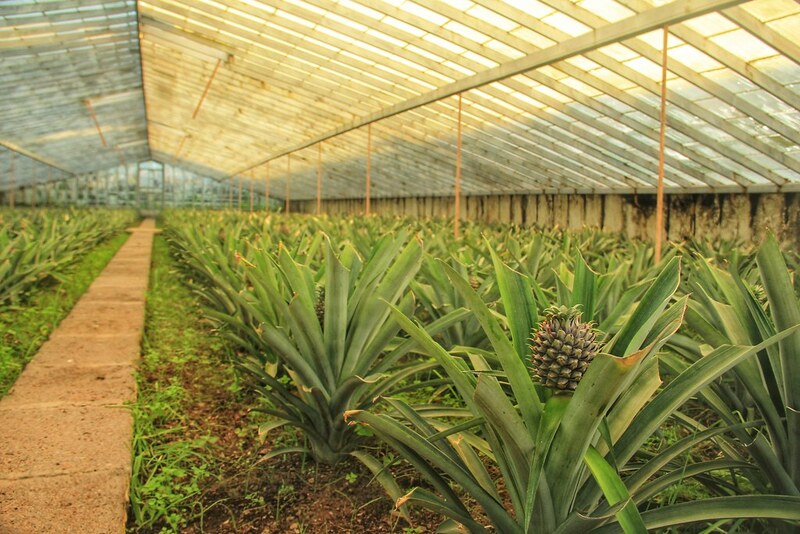 Because the Azores were not warm enough for the pineapples’ outdoor cultivation, they were grown in glasshouses. A unique technique known locally as “fumo” (leaves and branches are burnt in old oil drums placed inside the glasshouses, creating a dense smoke which forces the plants to flower at the same time) means that the pineapples can be harvested a lot quicker than would otherwise be possible. Visiting the pineapple plantation (which is now almost 100 years old) is completely free of charge. You can take a peek inside several of the glass houses, in order to witness the pineapples at various different stages of cultivation, as well as taste the fruit and the liqueur that’s made from it. Located in the town of Lagoa, on the southern coast of the island, the family-owned business of Cerâmica Vieira is now in its fifth generation. It’s free to enter and you can poke around the factory and showrooms at your leisure. I found it fascinating to witness the various different stages of the manufacturing process, and to watch the artisans painstakingly honing their craft. We saw one lady throwing pots, and other workers hand-painting the final pieces. Crockery, pots, bowls, vases and other items in traditional signs and colours are made here., and it’s possible to purchase a number of the finished products in the attached shop. I think I’d spotted Castelo Branco from the road prior to our conversation with Ricardo at our hostel. But because I had no idea what it was called I had no reference point from which to research its whereabouts. However, as luck would have it we were having breakfast one morning and we asked Ricardo for some recommendations for places to visit that we may not find in our guidebook. Immediately he showed us a photo of Castelo Branco, and the views it afforded of Lake Furnas, and immediately I was punching it in to Google Maps. 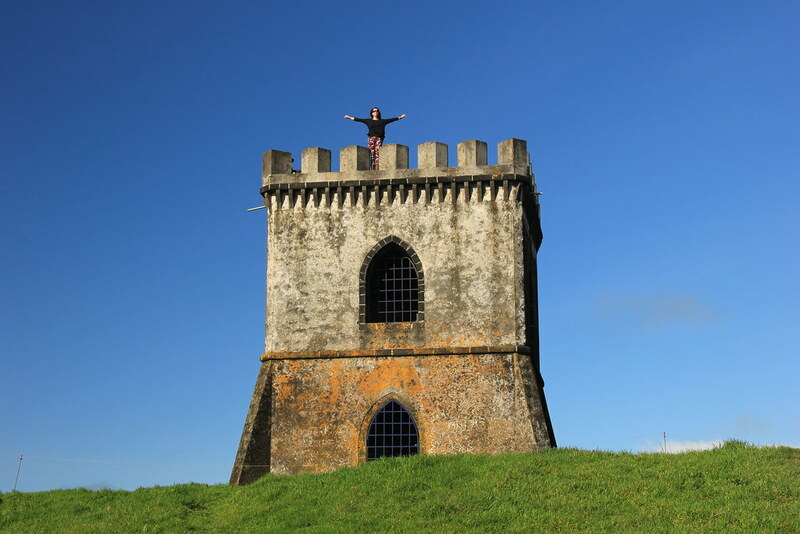 I’m not sure what this structure used to be (Stu reckons it was simply a watch tower), but it’s definitely worth visiting. Especially if you’re as lucky with the weather as we were. The fact that we were the only tourists up here was also an added bonus. When we arrived at the viewpoint we were overjoyed to discover that we could actually see the lake at all, even though there was still a lot of cloud around. However, by the time we left 10 minutes later the skies had cleared, allowing me to capture these wonderful shots. We totally discovered this place completely by accident, but it was such a wonderful find. You can actually see Our Lady of Peace Chapel (as it’s known in English) from the road as you drive through Vila Franco do Campo, but we found it incredibly difficult to get to because our Sat Nav didn’t realise that a new road had recently been built, and that the traffic was being redirected as a result. So it kept trying to direct us up a street we could no longer turn on to, due to there being a concrete wall in the way! We eventually sussed our own alternative route, but be warned! Once you get on the right track, the narrow road climbs steeply, winding its way up the hillside. 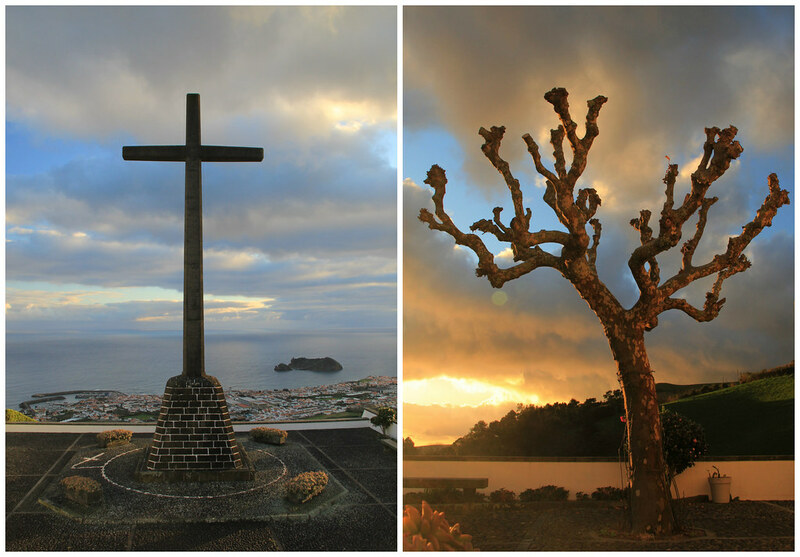 At the top the views down on to Vila Franco do Campo and out to sea are incredible. And although the sun was not illuminating the city and the islet, as we hoped it would be, it did however drench the church itself in beautiful golden light. I took way too many photos up here, but here are a few of my favourites. 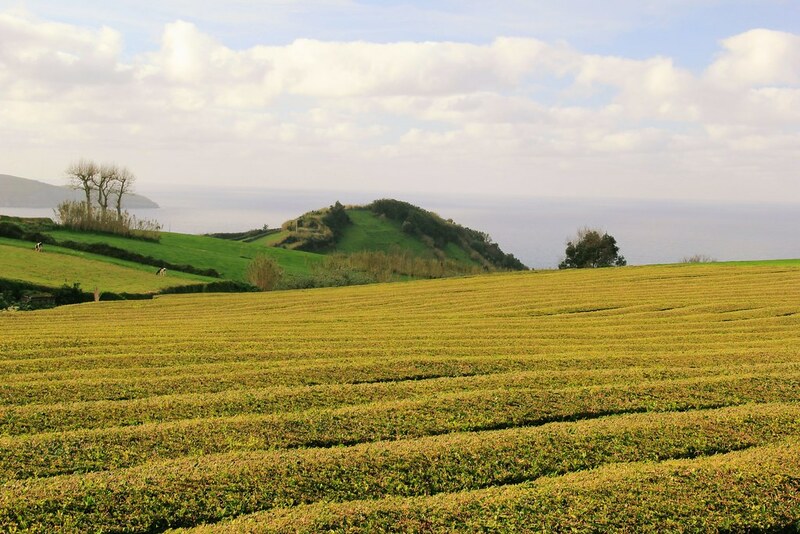 It is believed that Portuguese ships passed through the Azores on their return from Asia, and as a result the first records of tea growing in the archipelago date from towards the end of the 18th century. Like pineapples, tea was another of the crops that was introduced to the island following the demise of the production of oranges. 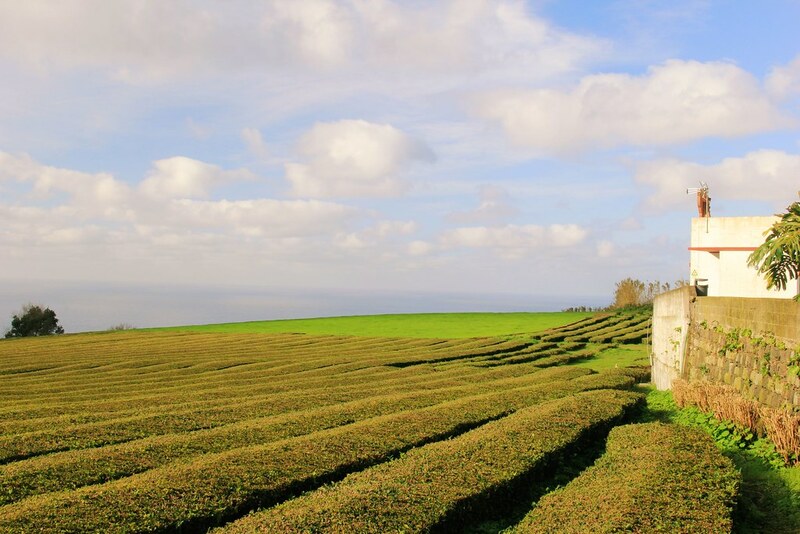 Nowadays São Miguel is home to the only tea plantations in Europe. 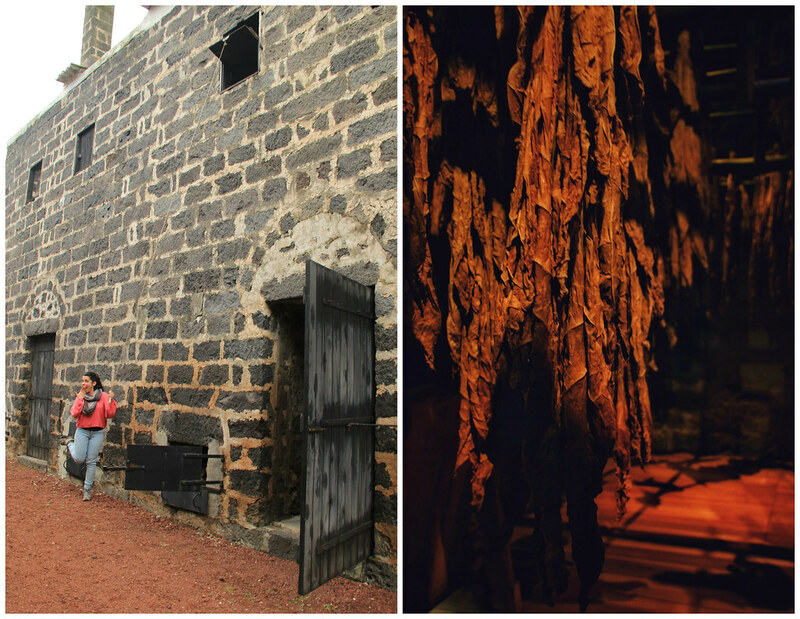 One of them is called Chá Porto Formoso, but we visited the larger of the two, Gorreana, founded in 1883. 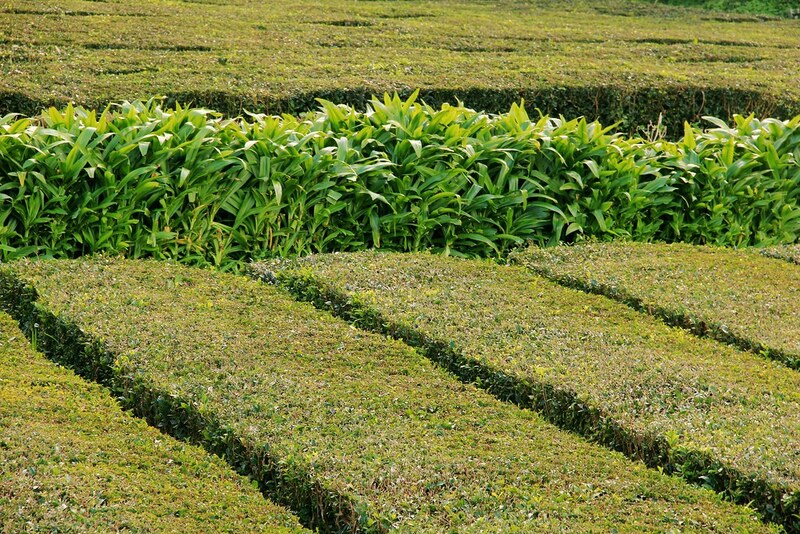 Gorreana is still in business 135 years later, producing some 30 tonnes of tea annually. It’s possible to visit the factory throughout the year, but unfortunately you’ll only be able to see it in operation from Monday to Friday, between April and September. 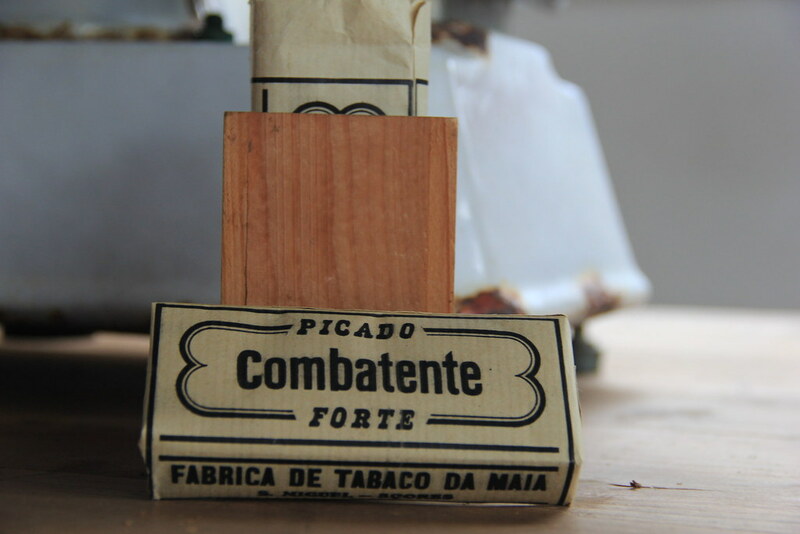 Our wonderful guide was a large part of what made visiting São Miguel’s Museu do Tabaco so interesting. I wish I could remember her name or even half of the fascinating pieces of information she imparted about the island’s tobacco industry. But unfortunately I’m not serious enough about this blogging lark to carry a dictaphone with me everywhere I go, so you’ll just have to settle with my recommendation that you should definitely go here – even if you’re not a smoker and have no interest in tobacco or cigarettes. The guided tour was worth every cent of the €2.50 admission fee, plus you get a free taster of a gorgeous chocolate and mint liqueur (which they also produce here) at the end. 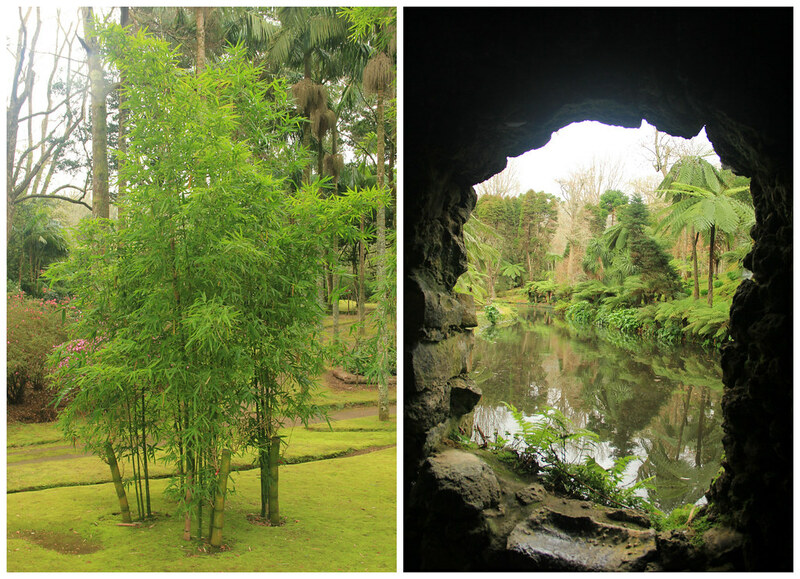 We weren’t blessed with the best weather for our day in and around Furnas. I don’t think we saw any blue skies all day and the persistent drizzly rain put a bit of a dampener (excuse the pun!) 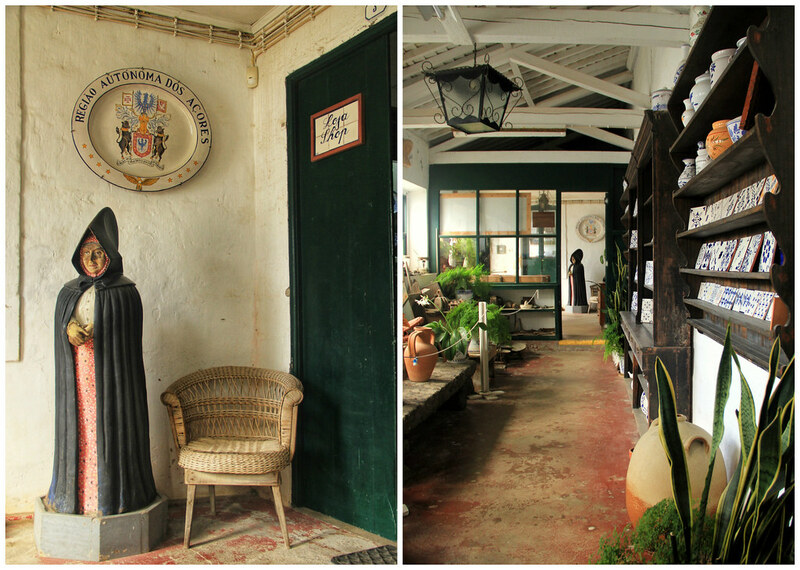 on our wander around the beautiful Terra Nostra Gardens, but we still enjoyed our time here immensely. 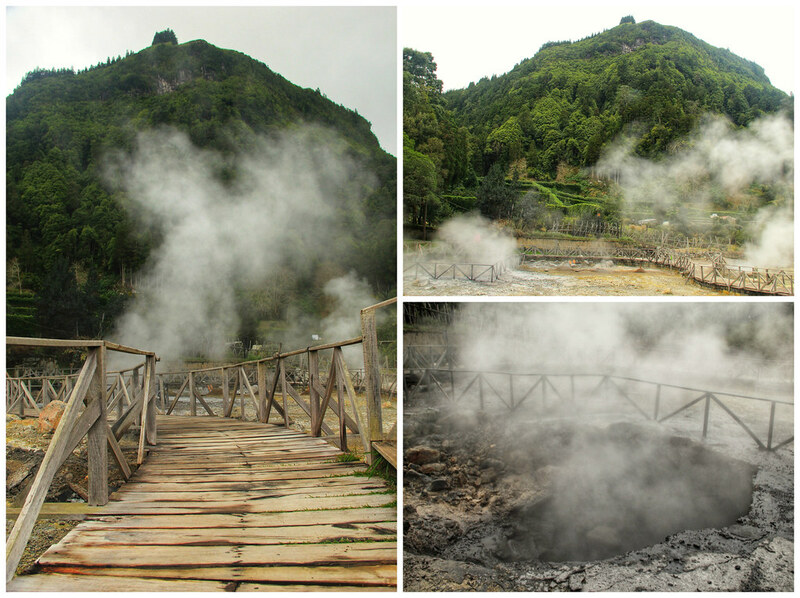 Furnas is located in the easternmost of three active volcanoes on São Miguel, and even though the volcano hasn’t erupted for thousands of years, there is still a lot of activity close to the ground’s surface. Pools of boiling mud bubble away and clouds of noxious gases rise up into the air. 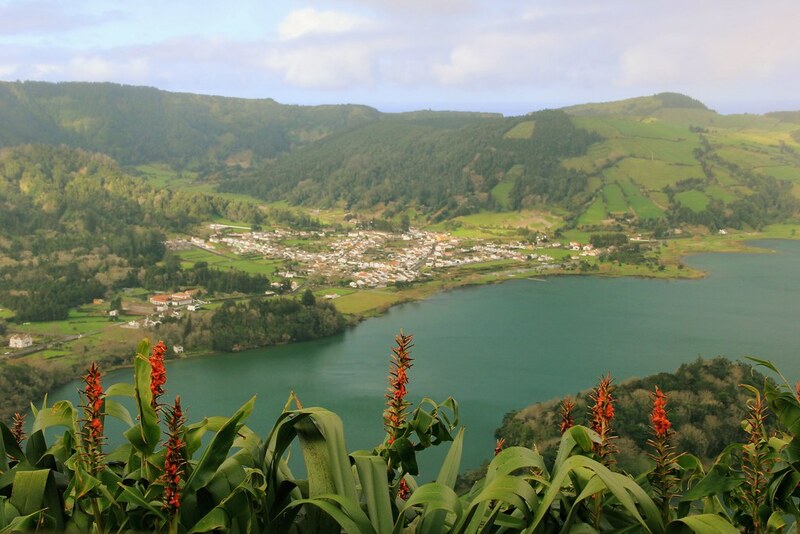 We approached Furnas from the north, stopping off at Miradouro do Pico do Ferro for a view the lake from above, before continuing down towards the geysers and hot springs scattered around the centre of the village itself. The tea shop above was unfortunately not serving tea, so we had a quick wander around the village before continuing on to the Terra Nostra Garden (entrance fee is €6 and includes the outdoor thermal pools and jacuzzi). The garden is built over a massive 10 hectares and it would be quite easy to spend the best part of a day here. There are walking trails, waterfalls, and a massive amount of plants and flowers to photograph and enjoy. 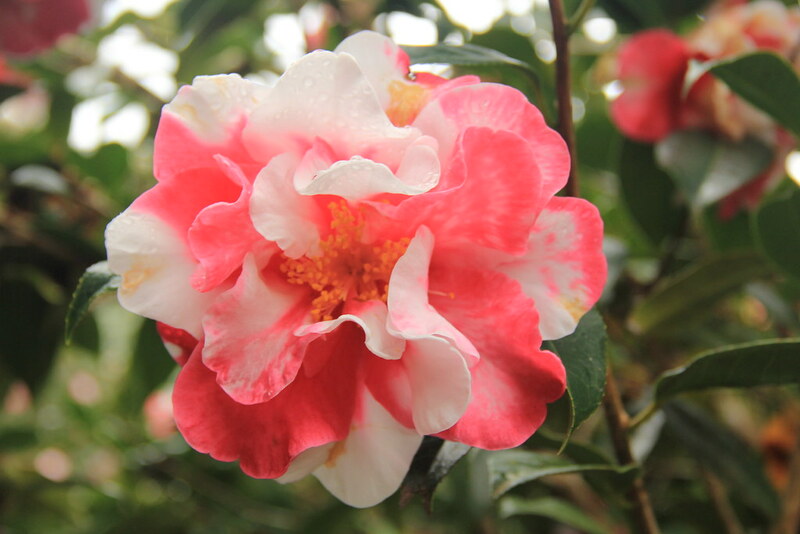 Although wintertime is not normally a great time of year to catch many flowers in bloom, it is a great time for camellias, which only blossom from December through to March. 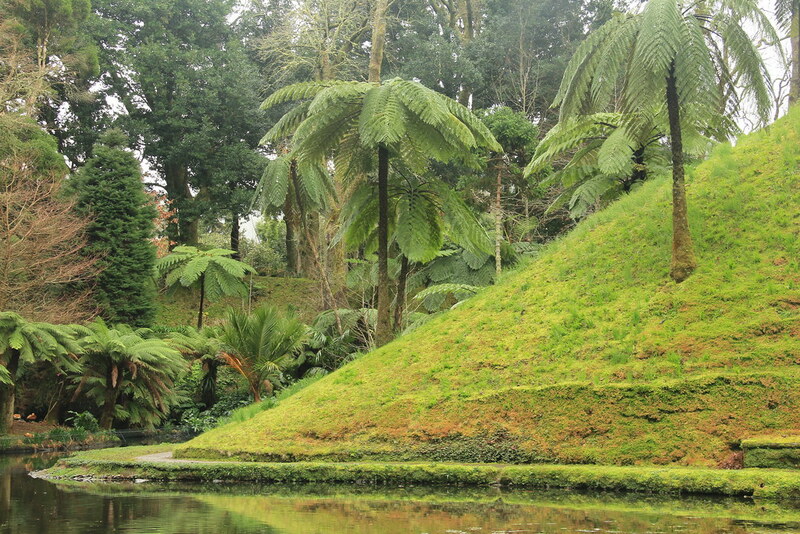 Don’t leave Furnas without heading down to the shores of its lake. 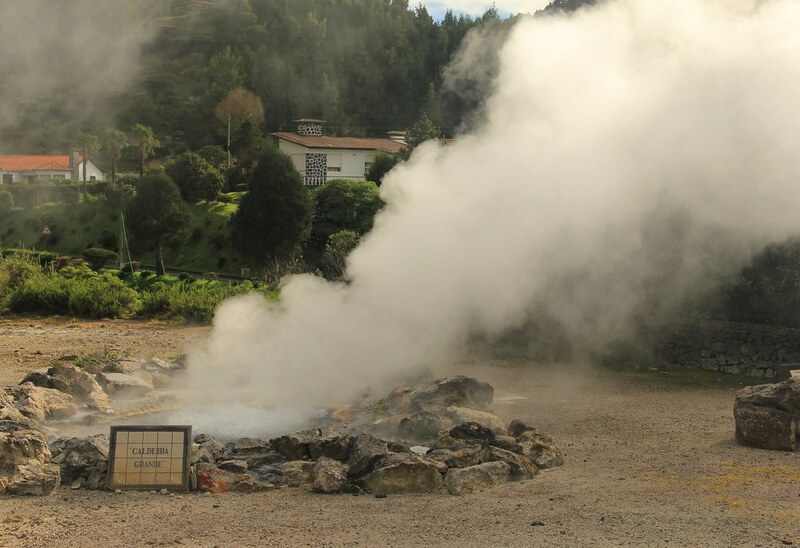 Down by the north side of the lake, amidst an area of geothermal activity, you’ll find the caldeiras (volcanic craters), where for generations people have come to cook the famous cozido nas caldeiras. It’s a dish that contains various different meats, sausage and vegetables (mainly cabbage, kale and potatoes), and the stew is cooked underground for around seven hours. The only liquid used is the juices that are produced by all the ingredients, and the idea is that the meats are cooked perfectly evenly and that all the juices produced are retained, which adds to the flavour of the dish. 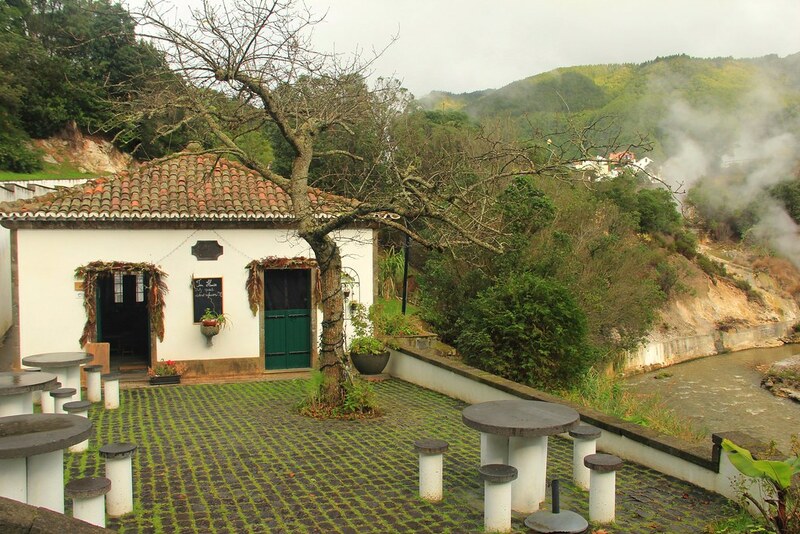 Ribeira dos Caldeirões is a protected area that’s located on the slopes of Serra da Tronqueira, alongside a stream of the same name. 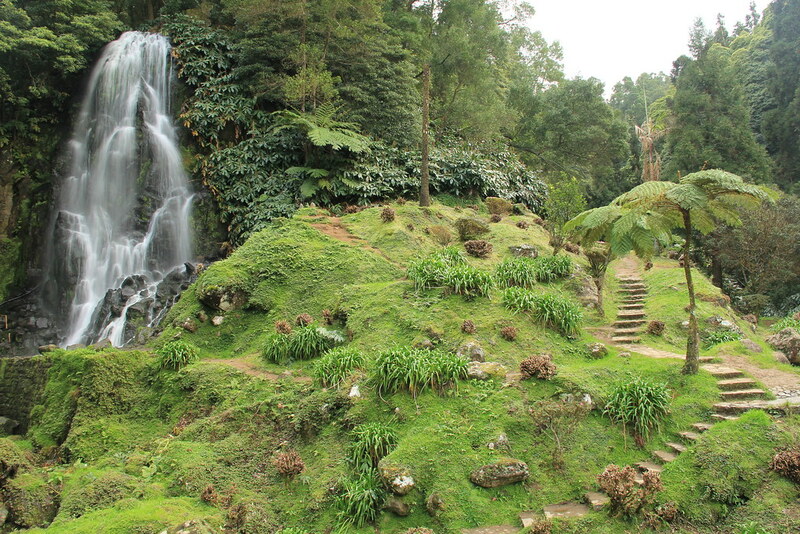 You’ll find it just off the main E1-1A in the county of Nordeste, to the northeast of Furnas. There are ferns and waterfalls galore here and, prior to the severe 1986 floods, there were more than 100 watermills in existence. 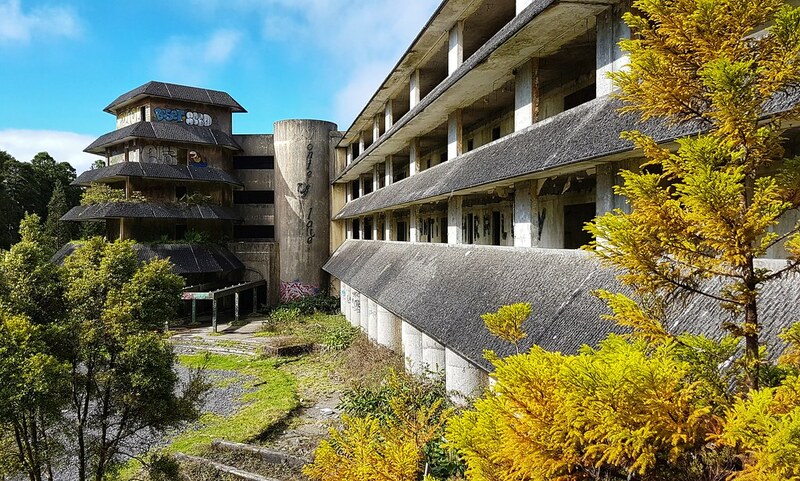 Now only five remain and only one of those five still work, however there are plans to restore the three that have been acquired by the Municipality of Nordeste. It’s a wonderfully serene and pretty area to wander around, and it’s worth stopping by the cafe there to soak up a bit of sunshine and admire your surroundings. You can pick up a coffee and a cheese toastie for just €3.50. 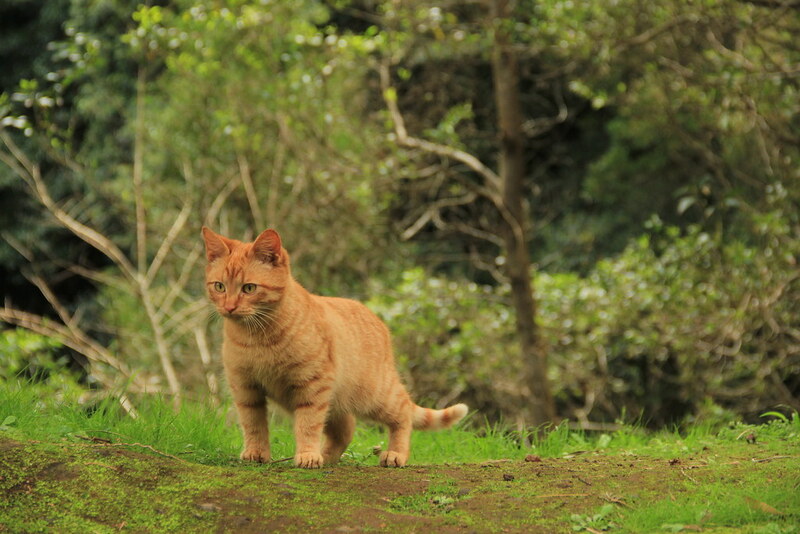 Stu even managed to rescue a little mouse from the claws of this – now rather perplexed – little hunter. 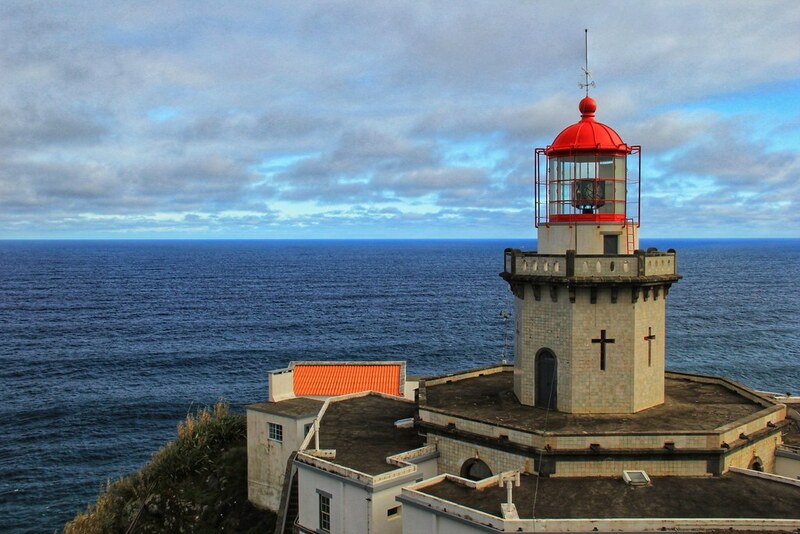 Located on the northeast coast of São Miguel, Farol do Arnel was the first lighthouse to be built in the Azores, and began operation on 26 November 1876. It’s still a working lighthouse today, 141 years later, and is open for guided tours every Wednesday afternoon. As luck would have it, we were there on a Wednesday afternoon, but we only discovered this fact when the lighthouse keeper saw us poking around and invited us inside. Continue down past the lighthouse to watch the waves crashing up against the harbour walls. 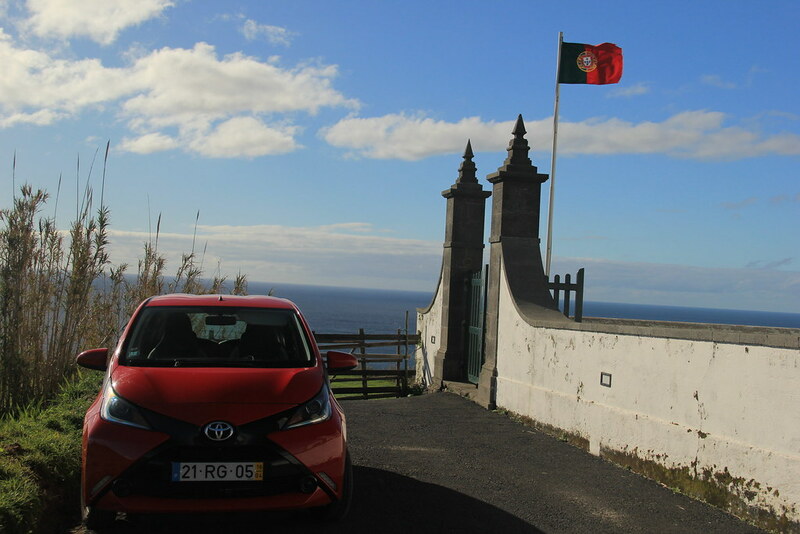 A word of warning though: if you plan to visit Farol do Arnel, park your car at the top and walk down – unless you’re a very competent driver or have an addiction to adrenaline and danger. Stu is a competent driver but even he nearly rolled the car back down the hill on the way back up, when we had to stop for a group of people walking down and then subsequently make a hill start. The road down to the lighthouse (and onwards towards the harbour) is STEEP!! Once you make it back up to the top, don’t forget to stop off at Miradouro da Vista dos Barcos for a view of the lighthouse from above. 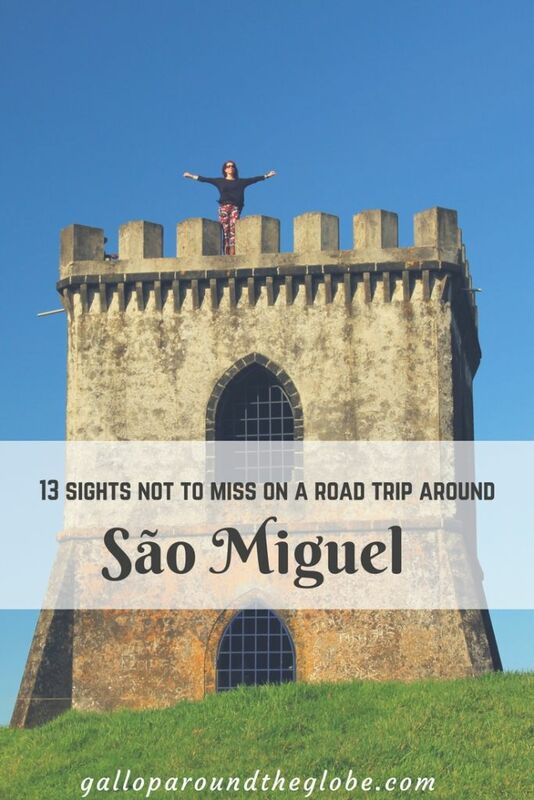 And that concludes my top 13 sights not to miss on a road trip around São Miguel. Obviously this has been written from my own personal experience so if you have any more to add then please let me know in the comments below! Which of my 13 sights would you be most excited to visit? Your pictures are beautiful and this post makes me want to visit. Looks like a great place to relax and unwind.